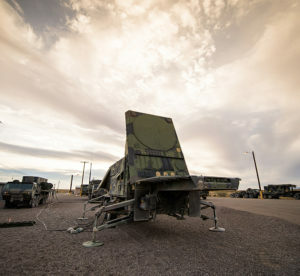 The U.S. Army successfully completed the first in a series of flight tests for the latest upgrades to the Raytheon-made Patriot Integrated Air and Missile Defense system at White Sands Missile Range, N.M. The upgrades, collectively known as Post-Deployment Build 8 (PDB-8), improve Patriot’s ability to destroy all categories of threats, differentiate between friendly and enemy aircraft, and make Patriot easier for soldiers to operate. PDB-8 is slated for fielding in the near future. Much of PDB-8’s development was funded by the 13-nation Patriot partnership, which will have the opportunity to incorporate PDB-8 into their Patriot inventory after U.S. Army testing and Materiel Release. During the flight test, operators used a PDB-8 configured Patriot battery to detect and track a ballistic missile target. The operators then successfully engaged the target with two different kinds of missiles — a PAC-3 and a GEM-T. A short while later, operators repeated the process, this time successfully engaging a second ballistic missile target with two GEM-T missiles. PDB-8 is currently undergoing U.S. government testing and evaluation. 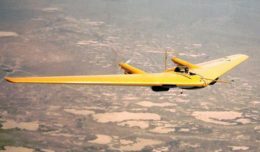 Additional flight- and ground- testing against a variety of targets will be conducted before PDB-8 is phased into the Patriot inventory. * Modern Man Station (MMS), a user interface with color LCD displays, touch screens and soft keys. * Radar Digital Processor (RDP), a ruggedized commercial off-the-shelf processor. RDP increase Patriot’s already high reliability by 40 percent. RDP also costs less to maintain and operate because it has fewer parts. And, RDP enables future capabilities through software upgrades. * Enhanced capability against a variety of threats. * Improved radar search capability. * A redesigned Fire Solution Computer, which enables Patriot to take advantage of the PAC-3 MSE missile capabilities. * An Enhanced Weapons Control Computer which provides up to 50 percent additional processing power for software enhancements to address evolving threats.